One of the leading manufacturer of Partitioning System that includes Modular Clean Room Panels, Load Bearing Walkable Ceiling and Clean Room Partition Panels. 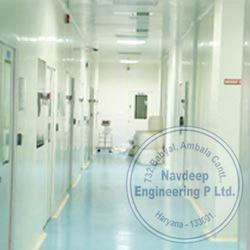 We are the leading Manufacturer, trader and service-provider of Modular Clean Room Panels. The ability to incorporate service routes within panels during manufacture saves valuable time on site and enables projects to be completed efficiently and exactly to clients performance specifications. 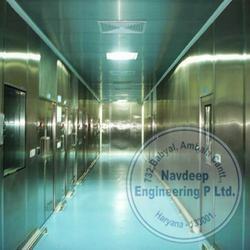 We are the leading Manufacturer, trader and service-provider of Clean Room Partition Panels. NEPL's modular walls have been installed in clean rooms throughout India in a range of applications from high technology electronic manufacturing, biotechnology, food facilities to health care packaging. 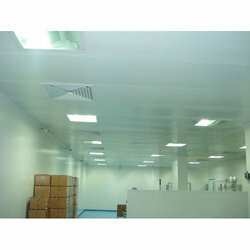 We are the leading Manufacturer, trader and service-provider of Non Walkable Single Skin Ceiling. With our wide distribution network, we ensure timely delivery of Non Walkable Single Skin Ceiling to our customers. We incorporate the filter grilles & light fixtures in our panels. 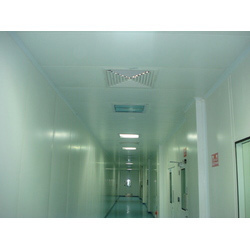 We are the leading Manufacturer, trader and service-provider of Walkable Single Skin Ceiling. The ceiling system is supported either on the partitions or by truss system to create spans not normally associated with partitions and ceiling enclosures. 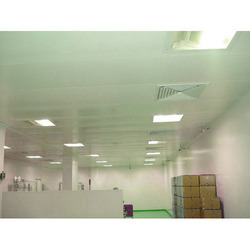 We are the leading Manufacturer, trader and service-provider of Load Bearing Walkable Ceiling. In these situations the ceiling can be installed independently from the partitioning, giving greater re-locatable advantages for subsequent layout changes. 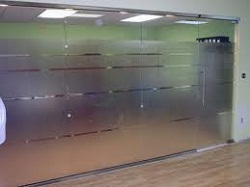 Looking for Partitioning System ?